Picture this: You’re at a dinner event with your guests, and everything is going perfectly planned from decor to the music selection. Then, you realize your night is coming to an end. So what better way to end this perfect dinner event than to provide your guests with delicious desserts?! Well, ABCey has you covered! Here are our top 7 unique and creative dessert ideas that will surely leave your guests impressed and blessed! Are you planning to use flowers as your centerpieces? Although you can decorate your venue with flowers, you can also use them to decorate your desserts! Everyone loves cookies, and shortbread cookies are a popular crowd pleaser. 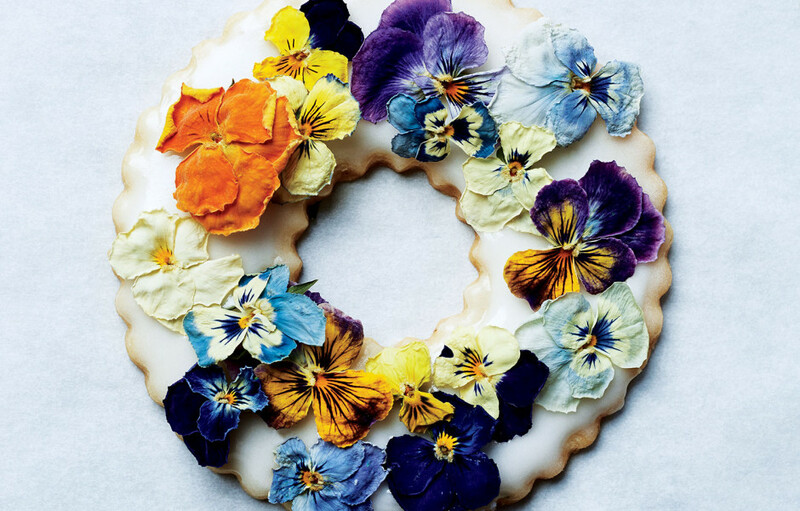 By adding these edible flowers, freeze dried fruit, and candied herbs on top of glaze, you can make these delicious tasting cookies. Moreover, you can make this lavender shortbread so your cookies are even more floral tasting. This creative and decorative dessert will be an excellent addition to your party! Learn how to make them here. If you want to decorate with more flowers, we have another dessert just for you! Instead of being a plain, clear “raindrop” cake dessert, this dessert is filled with decorations. Having a scary Halloween party or an outdoor floral party? From real fruit and flowers to sprinkles and spiders, the possibilities are endless when it comes to filling these droplets! These edible water bubbles are inspired by Japan’s Mizu Shingen Mochi and can be made with Agar or Jell-O gelatin. Don’t worry put insects and flowers in there because they’re edible and made from gelatin! So click here for insects and flowers, and here for fruit and sprinkles. And your guests will enjoy this unique dessert! 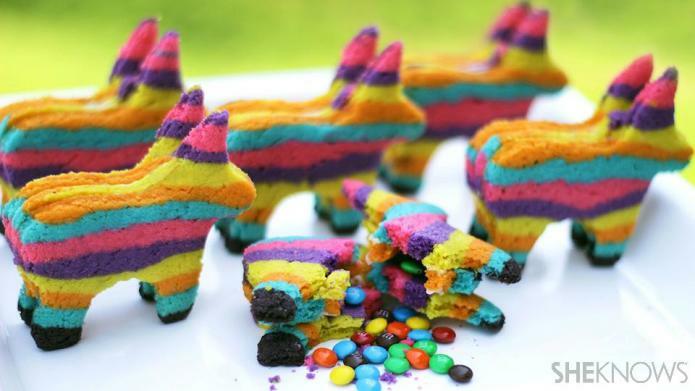 Give your guests a surprise with these Unicorn Piñata Sugar Cookies! These multi-colored cookies come with hollow centers that you can fill with your favorite candies. Not only will they add a magical element to your event, but they will also leave your guests wanting more! Set them out on a nice tabletop and watch your guests be delighted upon their first bite! These cookies are especially perfect for any Cinco de Mayo-themed event or kids’ birthday parties! So what are you waiting for? Learn how to make these here! These may look like those hamburger gummy candies, but they’re actually cupcakes! Each part of the cupcake is made of different types of cake mixes with some frosting to top it all off. In addition, these hamburger cupcakes are a fun way to contrast how usual cupcakes are made! Make these for your next event and maybe even serve some fries with it! Surprise your guests by letting them think that they’re having another small course of sushi. What they won’t expect is that they’re actually getting a dessert! This dessert sushi is made from a thin layer of chocolate pancake that is smeared with warm cream cheese and fruit in the middle. Give your guests these tiny little delights at your events! Continue to wow your guests with this Chocolate Flower dessert! Wrap your favorite sweets and fruits with some chocolate flower petals. Then, pour hot custard and watch the petals bloom open just like a flower! 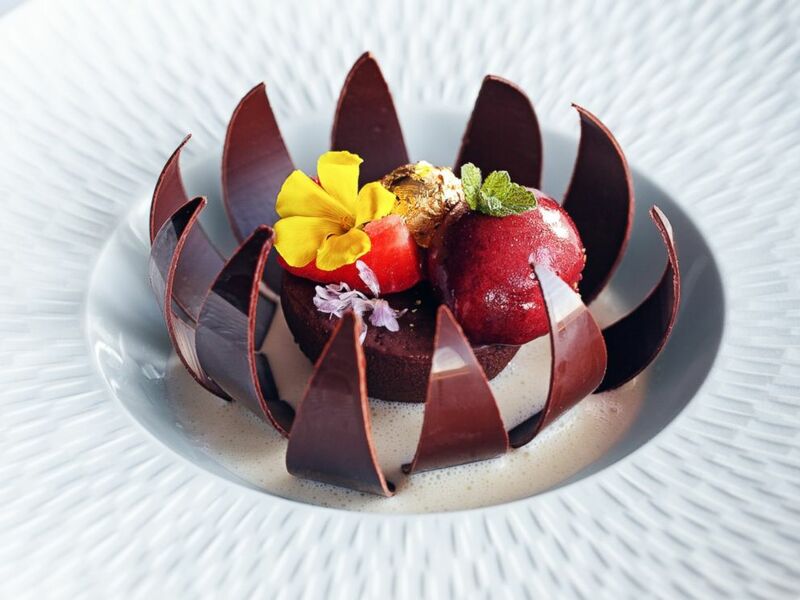 This artistic, yet delicious dessert is sure to leave your guests mesmerized! Also, this is ideal for any celebratory party event! So check out how to make these here! Cookies are a typical dessert. But when you infuse it with Crème brûlée, you take it to a whole new level. Get the custard that you love oh-so-much combined with your favorite parts of a cookie! This will leave a memorable and tasteful dessert that will allow attendees to look forward to your future events! Learn how to make them here. Which of these dessert ideas did you like best? Tell us in the comments below or on Facebook and on Twitter!